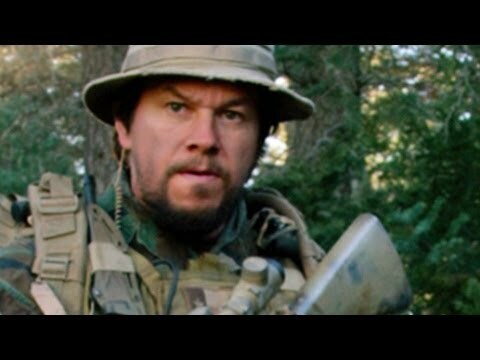 "Lone Survivor" movie quotes provide the dialogue to the based on a true story of four Navy SEAL team members tasked with taking down a Taliban leader in 2005. The action film was written and directed by Peter Berg using the memoir of the same title written by survivor Marcus Luttrell, who also served as a consultant on the film. 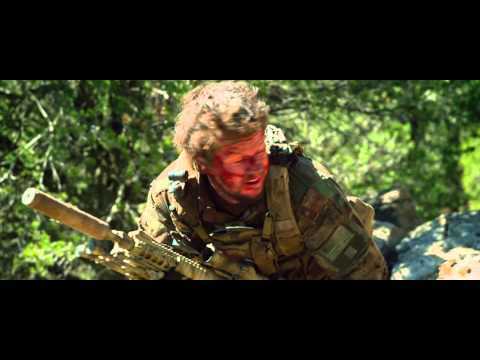 "Lone Survivor" opened in theaters on January 10, 2014. In "Lone Survivor," four members of the US Navy SEAL Team 10, SO1 Marcus Luttrell (Mark Wahlberg), LT Michael P. Murphy (Taylor Kitsch), SO2 Danny Dietz (Emile Hirsch) and SO2 Matthew Axelson (Ben Foster) are tasked with Operation Red Wings in June 2005. As part of the War in Afghanistan, the team heads into the Kunar Province to gather intelligence to help capture or kill Ahmad Shah, a Taliban leader. The team soon learns that the mission is going to be more difficult than expected as the 10 men in Shah's crew that they anticipated are more like a small army. Additionally, they are forced to capture a child, leading them to a life-changing decision. Killing the kid isn't the most moral option but if they let him go, he's sure to tell the rest of his Taliban men of the SEAL team's location in the trees. This leads them into an unimaginable situation where against all odds they must persevere for their own survival. "Lone Survivor" is one of the first big movies of 2014 after a 2013 packed full of hits such as "Jack Ryan: Shadow Recruit, "The Wolf of Wall Street, "The Secret Life of Walter Mitty, "Anchorman 2: The Legend Continues" "Her," "American Hustle," "Saving Mr. Banks," August: Osage County, "The Hobbit: The Desolation of Smaug," "Dallas Buyers Club," "Philomena, "Inside Llewyn Davis," "Grudge Match, "Out of the Furnace," "12 Years a Slave," "Frozen," "The Hunger Games: Catching Fire," "Captain Phillips," "Gravity," "Don Jon," "Rush, and "Prisoners". Shane Patton: "I'm petty officer Shane Patton." Michael Murphy: "Can he say it?" 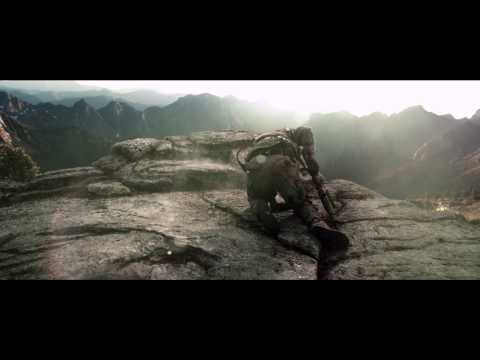 Marcus Luttrell: "Can you say it?" Danny Dietz: "Mr. Patton, please"
Shane Patton: "Been around the world twice. Talked to everyone once. There ain't nothin' I can't do, no sky too high, no sea too rough. Learned a lot of lessons in my life. Never shoot a large caliber man with a small caliber bullet. Anything in life worth doing is worth overdoing. Moderation is for cowards. I'm a lover, I'm a fighter, I'm a UDT Navy SEAL diver. I'll wine, dine, intertwine, and sneak out the back door when the refueling is done. So if you're feeling froggy, then you better jump, because this frogman's been there, done that and is going back for more. I'm a hard-bodied, hairy-chested, rootin'-tootin' shootin,' parachutin' demolition double-cap crimpin' frogman." In the process of introducing himself to his new crew, Shane Patton recites (a watered-down-for-the-TV-trailer version of) the Ballad of the Frogmen, a saying embraced by members of the Navy SEAL dive team. Marcus Luttrell: "There's a storm inside of us, a burning river, a drive. You push yourself further than anyone could think possible. You are never out of the fight." Marcus explains what it's like being a Navy SEAL in that they are trained to never give up, always feed that drive to succeed. This state of mind helps them in battle, this one especially. Erik Kristensen: "Listen up, Red Wings' a go! Bad guy: Senior Taliban Commander is a tier-one target." Lieutenant Commander Erik Kristensen announces to the men that Operation Red Wings has been approved. He also introduces their target, a tier-one Taliban leader, Ahmad Shah. Erik Kristensen: "We know Shah killed 14 Marines last Tuesday in Kandahar. We just pulled this video off three different Tali web sites. It will in fact be a glorious day when Ahmad Shah and his good friend Taraq are no longer members of our human community." To give his men some background on their target, plus reinforce what they are fighting for, LCDR Kristensen explains that the Shah killed 14 of their own last Tuesday alone. If that's not enough to want him captured or dead, good luck finding something that is.